Lord Buddha is known for his extensive travelling all over the world. His disciples used to accompany him on these journeys of miles together. On his way, he would meet people, give blessings, and preach lessons he had gained after his Enlightenment. On one such journey, when he was on his way walking from one town to another, with a few of his followers, they happen to pass by a river. Lord Buddha took some rest under the cool shade of a tree and asked one of his disciples to get some water from the river. 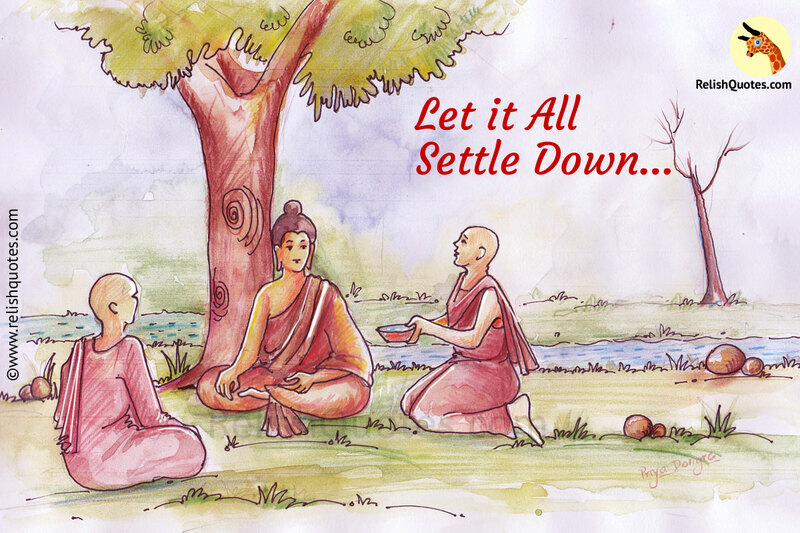 After some time passed, Lord Buddha sent his disciple yet again to fetch water for him. The disciple readily went to the river. This time, there was no muddiness and the water of the river was silent and smooth with clear waters.so the disciple took a pot and collected some water and took it to Lord Buddha. “Promise yourself to be so strong that nothing can disturb your peace of mind”….